The distinctiveness of a Mercedes-Benz vehicle begins with the quality of its Mercedes-Benz parts and accessories. Every component is artfully designed and promises superior performance, reliability, and longevity. Aftermarket parts won’t do your Mercedes-Benz justice; they simply aren’t strong enough to accommodate its advanced engine, transmission, brake system, etc. for long periods. That’s why we recommend nothing but OEM parts to our customers! We make it easy for drivers in Costa Mesa, Irvine, and beyond to find the right parts and accessories. Our Mercedes-Benz parts center features over 100,000 genuine Mercedes-Benz parts for sale! On the off chance we don’t have one of the Mercedes-Benz replacement parts that you need, we’ll gladly order it for you. To request a specific item, simply complete our Mercedes-Benz parts ordering form online, or contact our Mercedes-Benz parts department to speak with a friendly, knowledgeable Parts Advisor. The best part? Each part in our inventory is backed by a Parts Limited Warranty, doubling the peace of mind you can only get from buying Mercedes-Benz original parts. 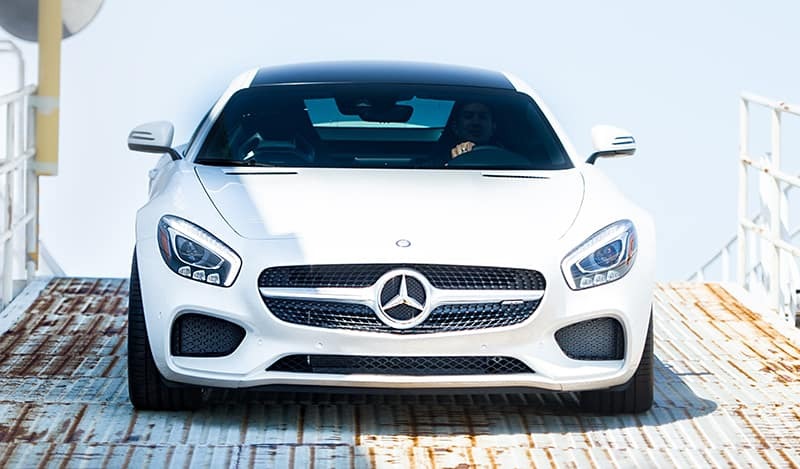 Don’t forget to check out our parts specials and Mercedes-AMG® accessories before submitting an order! The distinctiveness of a Mercedes-Benz vehicle begins with the quality of its parts and accessories. Every component is artfully designed and promises superior performance, reliability, and longevity. Aftermarket parts won’t do your Mercedes-Benz justice; they simply aren’t strong enough to accommodate its advanced engine, transmission, brake system, etc. for long periods. That’s why we recommend nothing but OEM to our customers! We make it easy for drivers in Costa Mesa, Irvine and beyond to find the right parts and accessories. Our Mercedes-Benz parts center holds over 100,000 OEM parts! On the off chance we don’t have what you need, we’ll gladly order it for you. To request a specific item, simply complete our Mercedes parts ordering form online, or contact our parts department to speak with a friendly, knowledgeable Parts Advisor. The best part? Each part in our inventory is backed by a Parts Limited Warranty, doubling the peace of mind you can only get from buying OEM. Don’t forget to check out our parts specials before submitting an order! Need to change your Mercedes-Benz key battery or replace the key altogether? Only you or someone you authorize will be able to order a replacement key for your Mercedes-Benz. To provide you or your representative with a replacement key, we require proof of identity and vehicle ownership with original documents. Here’s what we need. After we receive the appropriate documentation, we’ll need to synchronize the new key with your car. We can’t program your new key remotely, whether you live nearby in Chino, or further away in San Bernardino. Programming a key fob requires that the vehicle be in the same vicinity as the key fob. Contact our Mercedes-Benz Parts Center with questions about Mercedes-Benz key fob replacement cost and more!